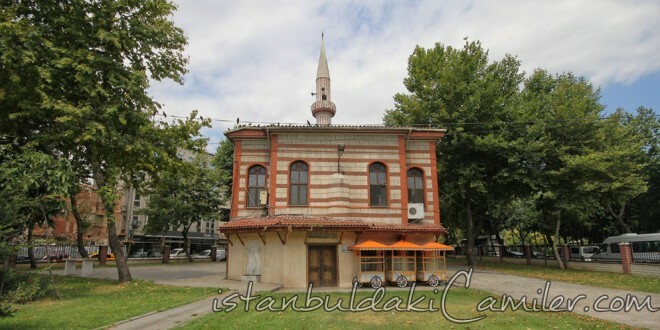 It is in Vapur Iskelesi Street at in Balat, Its constructor is Yusuf Sucaeddin of scholars of Fatih Period. The pulpit of the mosque of which the date of construction is unknown was put by Ismail Efendi, who was the administrator. The temple which has masonry walls, flat wooden ceiling and roof is in an ascending style, The interior side is 90 m², the narthex is 30 m². The mihrab is concrete plastered, the pulpit and rostrum, Ladies’ and muezzin’s section is wooden. As it is understood from the tablet over the gate of the mosque it was restored on the dates of 1766 and 1892. The most recently, it stayed between the two roads while the sides of the Golden Horn were beign opened in 1897 and it saw important restorations. It lost its originality when the minaret was placed on the northen façade after being taken from the western one. The entrance is from the mahfel. An imam-preacher Works at the place, and it has toilet and ablution place. It does not have an entula. At the daily prayers there are 20-25 and at Friday prayers there are 140-150 people.